I love little scenes like this one...just love them. 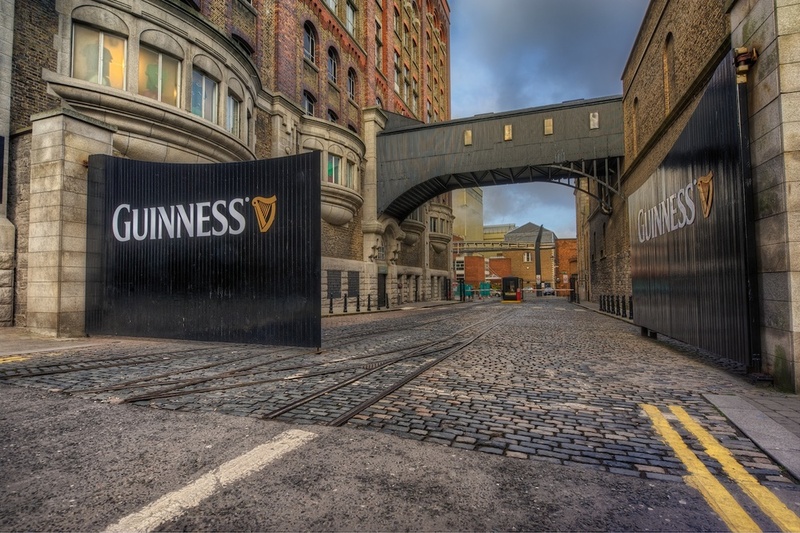 This is outside the Guinness Brewery in Dublin, Ireland. I spent that morning shooting around town, and then the rain started to come down on me, so I figured why not head over and check this place out? I’m really glad I did. The brewery is very cool. It’s several floors of history (and beer! ), there is a waterfall on the ground floor, and a skybar on top. When you reach the skybar, they give you a celebratory Guinness - win! So, I wandered around in the brewery/museum and enjoyed myself quite a bit. It was awesome. I spent a couple of hours here, and when I finally decided to head back outside, the rain had stopped. Worked out great. As I was walking around the building, I came across this old gate on the side of the factory. It was open, which I thought looked inviting, and I couldn’t resist this shot with the cloudy skies and so much texture. A good morning in Dublin!